Swellesley Report founder Bob Brown asked Tech-Tamer to create a new site that would allow him to edit content more easily and allow his readers to post comments. Tech-Tamer built a WordPress-based site, migrated all of the current content, and set up accessible archives from older site content. 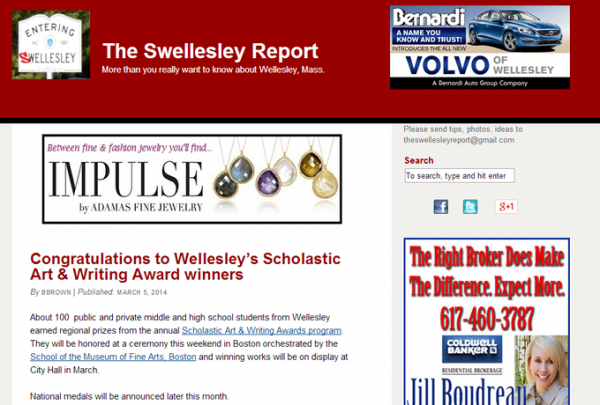 The new site allows our client to update blog posts and comments with ease and includes a community events calendar, Google AdSense ads, and extensive information about the town of Wellesley, MA.